Where “sharing message” refers to the calendar invite. This error usually occurs with Outlook 2007, 2010, and 2016. A noteworthy observation is that most users who reported the issue were able to send the email invite through the online app of the mailbox mappen on the Outlook desktop client. 1] The files responsible for acting a bridge between the Calendar app and Outlook might be damaged. 2] An add-in might be causing the issue. 3] Issue with Calendar permission files on the system. Before anything else, try sending the calendar invite through the web application (eg. gmail.com, hotmail.com, etc.) of your email server. If it doesn’t work with the web application either, then there’s no point in troubleshooting with the system. You could contact your email service provider for the same. At times some troublesome add-ins cause this issue. We could test this, and if the issue is with one of the add-ins, we could investigate and remove the same. 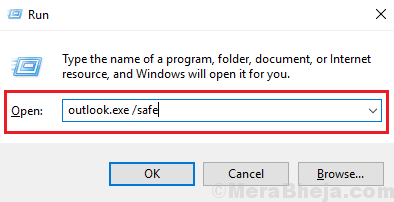 1] Press Win + R to open the Run window and type the command outlook.exe /safe. Press Enter to open the Outlook desktop app in Safe mode. When we open the Outlook desktop client in Safe mode, the add-ins would be disabled. 2] Now try sending the Calendar invite. If it works, the issue is with one of the add-ins. 3] Close the Outlook Safe mode window and open the Outlook client in normal mode. 4] Go to File >> Options >> Add-ins. 5] Choose the drop-down menu corresponding to Manage to COM Add-ins and click on Go. 6] Check and Remove any add-in that is suspicious. This would be more of a hit and trial activity. 1. Press Windows Key + R together to Open RUN command Box. 2. 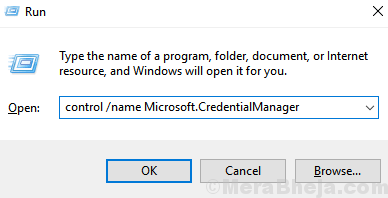 Now, Write control /name Microsoft.CredentialManager in the run command box and Click OK.
3. Now, Choose Windows Credentials. 4. Now, Expand Microsoft Office Credentials from the List and Remove it. Right Click on the users calendar and select Properties. Go to users list and make sure that there aren’t any duplicate entry. If there is any Duplicate entry , Remove it. Once you remove the Duplicate Entry , Just restart Outlook again. The Microsoft Support and Recovery Assistant for Office 365 can be downloaded from here. Run this troubleshooter for the Outlook desktop client. It check for all possible causes of the issue and tries to resolve it if possible. If everything else fails, you could consider re-installing the Microsoft Office package. However,it is necessary to remove all components of the software package. To do so, download the tool mentioned in Option 2 here. Thereafter, reinstall the Microsoft Office package. 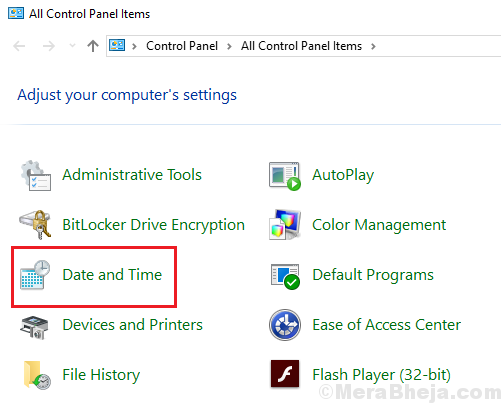 The Outlook client or rather any software installed on the system uses the system clock to check the time and use it for functions. Check the system time at the right-bottom corner of the screen. If it is wrong, you might have to correct it. 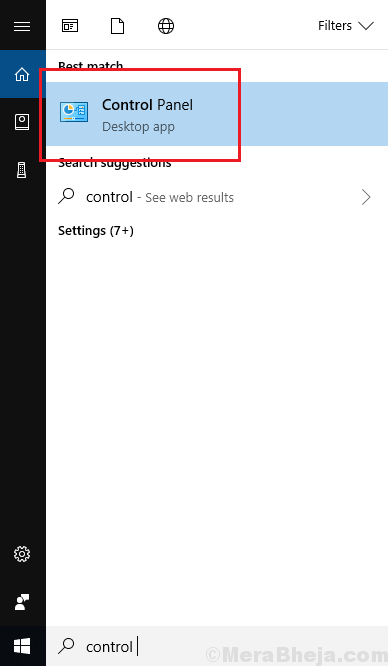 1] Search for Control Panel in the Windows search bar and open the same. 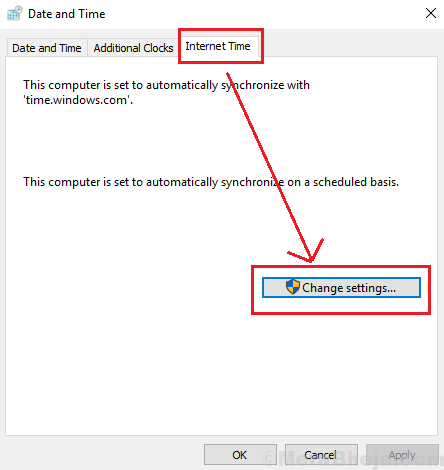 2] Go to Date and Time and then to the Internet time tab. 3] Click on Change settings. 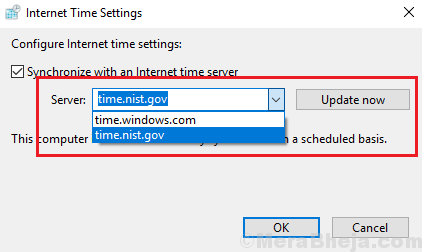 4] Select the Server to time.nist.gov and then click on Update now.